Without adequate extraction, your plants may display slow growth. Make sure you select the right size fan for your space, including the amount of lights you use. Read our buyers guide below for more info. Extractor fans play a huge role in keeping your environment optimal for plant growth by refreshing the stale, hot, CO2 depleted air. This action of pushing the stale air from the room causes negative pressure within your growing environment meaning fresh air is drawn through the small gaps and crevices in your area, passively intaking fresh air. In this way, used air that may contain volatile organic compounds or smells cannot escape through the crevices and gaps if there is a constant draw of air in; allowing your garden to be used wherever it’s situated without the risk of smells escaping the space. Your extraction also contributes heavily to the ambient temperatures in your grow space, as lights and equipment produce heat, the extraction can move the heated air away from your space keeping plants in the perfect temperature zone (between 25°C - 28°C) for optimal plant growth. Some Growers choose to use an active intake fan to push fresh air into the room while simultaneously extracting air from the top, this allows the negative pressure in the tent to be balanced across the two fans. Use of an active intake also allows the air to be filtered before entering your space, reducing the amount of dust and small particulates that can settle on your fruits and flowers, making your garden more hygienic. When purchasing your fans, there are two main aspects to look for to see if it's suitable for your space, Wattage and air movement. Wattage will determine how much your fan will cost to run whilst the air movement rating will let you know how much air the fan moves. With a simple calculation you can see if the extractor fan is capable of moving enough air in your space. 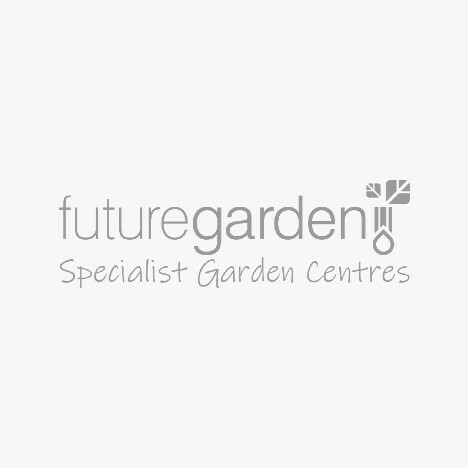 At Future Garden, we use a formula based on the number of lights in your growing space. There's a different formula for a room or tent because rooms normally have higher ceilings. For rooms, each 600w light requires 360m3 of extraction, so multiply the number of lights by 360m3 to calculate the air movement rating of your extraction. For Tents, Each 600w light requires 480m3 of air refreshment per hour so multiply the number of 600w lights by 480m3. For both methods of working out how much airflow you need, you should purchase a fan with a higher output to ensure it will still have enough air movement capabilities if you run it at a lower speed on a controller, or with the added impedance of carbon filters and long runs of duct. We carry a large range of different extractor fan models in a range of diameters including 100mm (4 inch), 125mm (5 inch), 150mm (6 inch), 200mm (8 inch), 250mm (10 inch), 315mm (12 inch) and 350mm (14 inch). Match the size of your fan to your ducting and carbon filter to ensure they’ll all fit together. If you've got any further questions about your extractor fan like how to set up your extraction email us or call our specialist team on 0800 085 7995. We can also advise you on which extractor fan is best for your space.